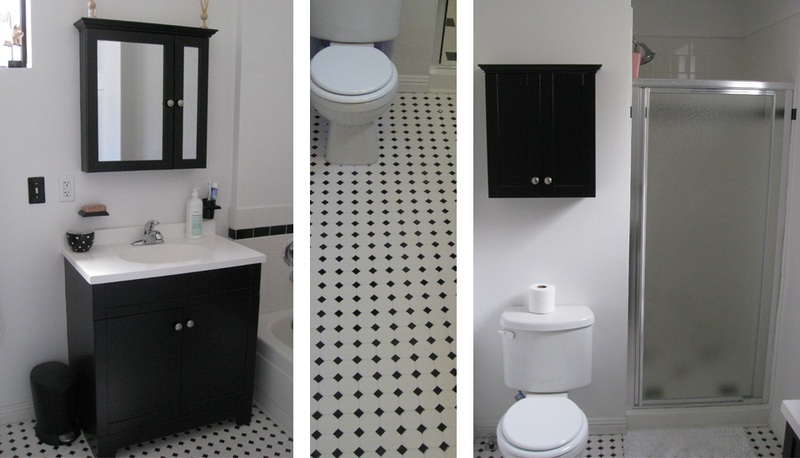 This black and white tile bathroom was completely gutted and converted from dingy and dated, to clean and timeless. Todd worked with the owner to achieve the simple two-tone look she was going for suggesting design accents such as black stripes in the tile work around the shower and bathtub. 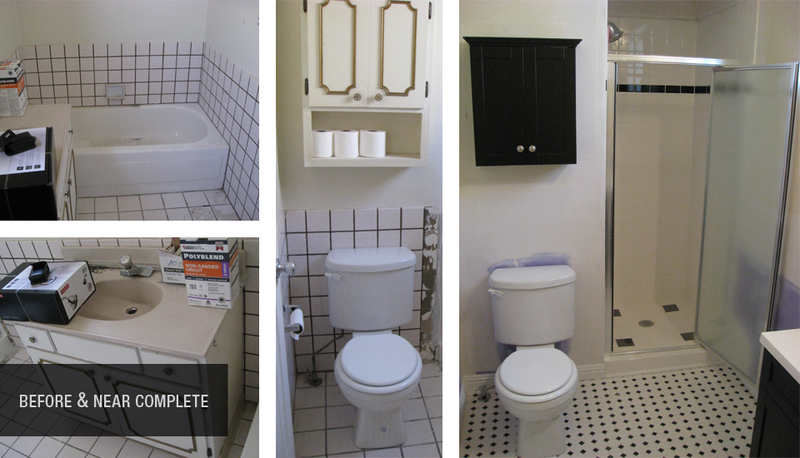 Project included: Tile shower, tile floor, tub surround, installation of vanity and cabinet. Designed by owner, with contributions from Built By Todd.